Objective: To be able to analyze and apply various provisions of the Company Law in practical situations Contents: 1. The Companies Act, 2013 and Rules framed thereunder in its entirety with specific reference to (a) Declaration and payment of Dividend (b) Accounts and audit (c) Appointment and Qualifications of Directors (d) Appointment and remuneration of Managerial Personnel (e) Meetings of Board and its powers (f) Inspection, inquiry and Investigation (g) Compromises, Arrangements and Amalgamations (h) Prevention of Oppression and Mismanagement (i) Revival and Rehabilitation of Sick Companies (j) Winding Up (k) Producer Companies (l) Companies incorporated outside India (m) Offences and Penalties (n) E-governance (o) National Company Law Tribunal and Appellate Tribunal © The Institute of Chartered Accountants of India xi (p) Special Courts (q) Miscellaneous Provisions 2. Corporate Secretarial Practice–Drafting of Resolution, Minutes, Notices and Reports Note: The provisions of the Companies Act, 1956 which are still in force would form part of the syllabus till the time their corresponding or new provisions of the Companies Act, 2013 are enforced. These video lectures are exclusive property of CA GYAN GURU it should not be copied. 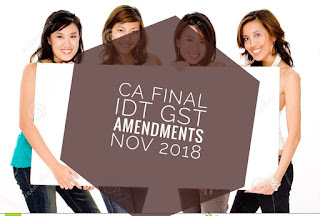 Below are the video lectures of ca final paper 4 corporate and allied law, director,company audit and company accounts.All lectures are in sync with icai module. These topics genereally covers 30 -40 marks in exams.